Jing Tu is the DMPK Group Manager at AbbVie (MA, USA) and has been working in the CRO and pharmaceutical industry since 2011. She started her career with Frontage Laboratories (PA, USA) in its biologics ligand binding services lab. As a Frontage scientist, she was then selected by Janssen R&D (formerly Centocor) to work within their ligand binding laboratories in Spring House (PA, USA). 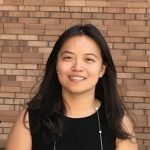 In 2015, Jing joined PPD Laboratories’ (VA, USA) biomarker lab and started its biomarker ligand binding assay group, before joining AbbVie DMPK department in 2018. Jing has a medical degree from Jilin University (Changchun, China), one of the top 10 science-based universities in China. She also holds a Master’s degree from New Jersey Institute of Technology (NJ, USA). Jing has recently been an invited speaker at multiple international conferences. She was a member of the Global CRO Council (GCC) from 2016–2018. She is also a current member of the organizing committee for Applied Pharmaceutical Analysis (APA) and American Association of Pharmaceutical Scientists (AAPS) terminology team. In 2018, she was named the winner of the Bioanalysis Rising Star Award.